Executive Director of the Infrastructure for Development Sierra Leone (I4D-SL) has called on relevant government ministries and agencies to prioritiss infrastructural development as key strategy in alleviating poverty among Sierra Leoneans. Charles Mambu said Infrastructure 4 Development Sierra Leone is a civil society infrastructure watch consortium that contributes to the reduction of the challenging state of Sierra Leon’s infrastructure through advocacy, independent monitoring, public education and constructive engagement with government agencies, donors, and local councils, among other relevant institutions in the country. He observed that there is a dangerous delay in the rehabilitation of road networks across the country, adding that the delay to relocate utilities such as electricity poles and cables – both underground and overhead, water pipes and telecommunication cables, were contributing to the delay in the completion of the various works. 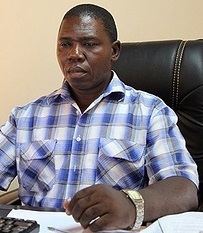 “As you are aware, the Government of Sierra Leone through the Ministry of Finance in October 2018 agreed to finance the completion of some township Road projects that required urgent completion in Kenema, Bo, Bonthe Municipality, Freetown Central and West.The Ministry of Finance released Billions of Leones to companies with the agreement that the work should be completed in May 2019. Additionally, the Government of the People’s Republic of China provided funding for the rehabilitation of the 3.2 km Limkonwing University- Regent Village, which works is expected to last not more than twenty four months with GoSL providing its counter funding. Also on Saturday, 2nd February, 2019, a joint high power stakeholders delegations that included the political, technical and administrative leadership of the Ministries of Works, Energy, SLRA, RMFA, Resident Ministers of South and Eastern provinces, Board Chairmen, Local Councils of Bo and Kenema and I4D-SL inspected all the ongoing road works in Bo, Kenema and Bonthe Municipality.In the Bo township, utilities were shown to us along the new Jerihun and Galu Roads. At a well-attended briefing at the SLRA compound, state authorities and other stakeholders agreed that those utilities should be relocated beyond the Road corridors to allow the speedy completion of the work,” he said. He added that having undertaken two independent monitoring and one joint stakeholders visit to the various construction sites, he said the township roads construction works might be halted due to the three delays identified in all locations- Kenema, Bo, Freetown and Bonthe Municipality.